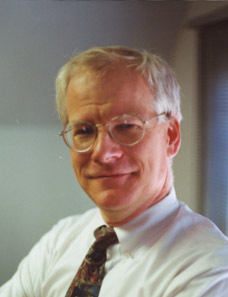 Robert J. Yarbrough, Patent Attorney. I am Robert J. Yarbrough, Attorney at Law, providing patent law services to clients nationwide. I am a partner in the law firm of Lipton, Weinberger & Husick, which specializes in patents and other intellectual property. I am a former big firm lawyer, as are most of the attorneys of Lipton, Weinberger & Husick. We provide the quality of a large law firm with the reduced costs of a small law firm. Every client is important to me and every one of my clients receives my personal attention. I am a degreed mechanical engineer and my particular talents and abilities are in the mechanical, electrical and aeronautical arts. I especially enjoy working with family-owned businesses of 10 to 50 employees that rely on technical innovation for a competitive edge. If you don't meet this description, call anyway. If I'm not the best person for your project, I'll tell you so and refer you to an appropriate provider. I protect inventions and other intellectual property through patents, trademarks and copyrights. I am licensed to practice patent law before the U.S. Patent and Trademark Office. I obtain U.S. utility and design patents. I prepare and prosecute U.S. patent applications in a variety of technologies to achieve the commercial goals of each client. I protect inventions internationally by working with patent agents around the world. I perform due diligence relating to patents to facilitate business transactions. I advise clients in the achievement of business objectives through the management of patents and other intellectual property. I negotiate and prepare licenses and contracts relating to patents and other intellectual property. I assist my patent clients in stopping infringers from copying and selling my clients' patented inventions. I assist clients who are accused of infringing patents. I represent clients in reexamination proceedings to preserve patent rights that are challenged by an infringer. Follow this link to find my professional biography. Follow this link to recent publications. Follow this link to a description of recent patent law projects. Call or e-mail me to learn more about the patent process and to learn how to protect your invention. Not happy with your present patent attorney or agent? I can provide a second opinion. All consultations are confidential. I provide patent services nationwide. I am located in Delaware County, Pennsylvania, which is part of the five-county area of Southeastern Pennsylvania including Philadelphia County, Bucks County, Montgomery County, and Chester County. Pennsylvania communities served include: Ardmore, Bala-Cynwyd, Broomall, Cheltenham, Conshohocken, Downingtown, Drexel Hill, Havertown, Kennett Square, Media, Paoli, Philadelphia, Plymouth Meeting, Radnor, Springfield, Swarthmore, West Chester and Wyndmoor. Delaware communities served include Wilmington and Claymont. New Jersey communities served include: Cherry Hill, Cinnaminson, Glassboro, Haddonfield, Marlton, Moorestown, Pennsauken and Woodbury. Media, Pennsylvania is a suburb of Philadelphia.